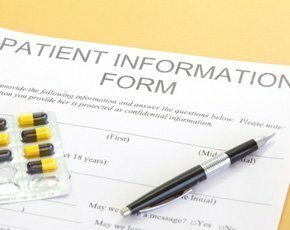 The British Medical Association (BMA) has voiced its concerns that the Care.data programme should be explicitly opt-in when it is rolled out in the future. During the BMA’s annual representative meeting (ARM 2014), the majority of attendees voted in favour of Care.data being an opt-in programme, rather the original opt-out model suggested by NHS England. And another noted that doctors must listen to what patients want following the furor over the last six months. Meanwhile another speaker putting forward a motion that Care.data should be opt-out to ensure data isn’t skewed, said it would be better to fund the NHS by selling anonymised datasets, rather than taxing tabacco. The controversies surrounding the plans came to a head in February when failure to explain the benefits to the general public forced the NHS to put the plans on hold for six months. Before plans were put on hold, research by the BMA suggested that almost half of patients were unaware of the plans to use their confidential medical data in this way, despite the national campaign. Later, NHS England admitted it had failed to explain the benefits of Care.data to patients. Instead, a trial with up to 500 GP practices will go ahead as planned before further decisions are made over future timescales.